They are massive and being described as 'four creatures from hell'. 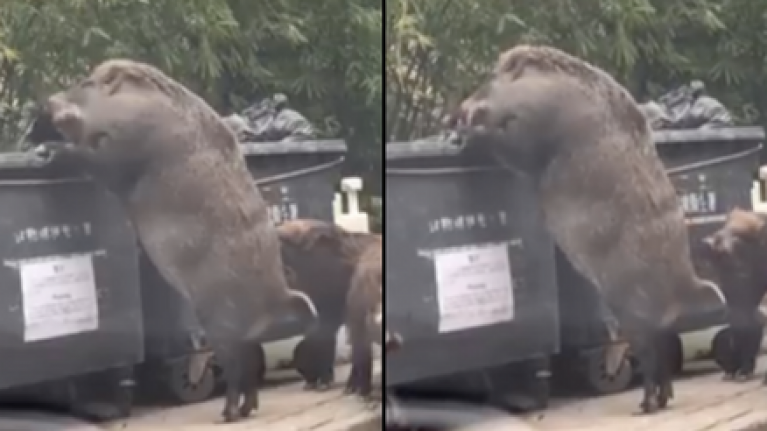 Footage has captured the terrifying moment that a pack of wild boar ravaged a bin close to a school in Hong Kong. The viral clip has been shared hundreds of thousands of times, with everyone commenting on the monstrous size of the animals. One wrote: "The wild pig is in front of the left school. I'm careful with Hyung-Hyung's primary school, and I've got a wild boar." Wild pigs are a native species to Hong Kong, but have had their habitat raided by urbanisation, much like foxes in the UK. Only absolutely huge.